Come live, serve, and explore Maine’s wilderness, coast and mountains with MCC as a Field Team Member. Participants serve in teams of three to six, using traditional construction and maintenance skills to enhance hiking, biking, skiing, and other types of recreational trails throughout the state. Learn how to highline a 500-pound boulder to construct a stone staircase, build timber structures, or open access to treasured natural areas. You’ll make a difference in local communities, while connecting to nature, peers and yourself. Build a path, while finding yours. We will share your profile and application with Maine Conservation Corps. Describe any experience you have leading or working with volunteers. Describe your experience with outdoor activities, including hiking, backpacking, and camping. Describe your experience with trail construction and maintenance. 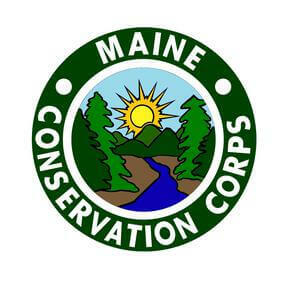 Please tell us why you would like to join the Maine Conservation Corps. Provide the names and email addresses for two professional references. Before we can tell Maine Conservation Corps to look at your profile and review your application, we need a few more details about you.